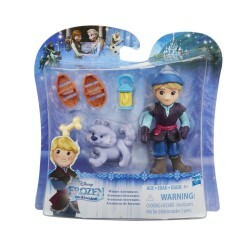 Little girls can play out their own fun inspired by Disney's Frozen with Glide 'n Go Anna and her magical snowflakes. 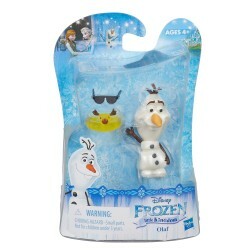 Attach Anna and her Snowgie friend to the included snowflake and help her glide across the table. 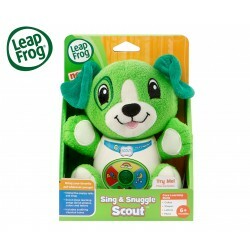 The fun doesn’t stop there -- the Snowgie spins as the doll glides! 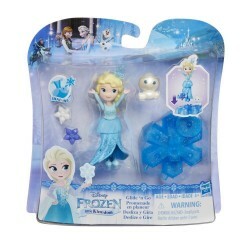 Also available is Glide 'n Go Elsa (sold separately). Girls can attach the snowflake bases for double the fun! 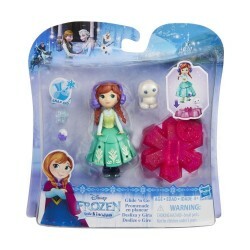 They can also decorate their Anna doll with mix and match Snap-ins pieces and outfits from other sets (additional Snap-ins pieces and removable outfits are included with other Little Kingdom Frozen dolls, sold separately). Includes doll, outfit, Snowgie, base, accessory, and 2 Snap-ins pieces.